There are many aids to help us. A simple one is to remember the fruit of the mystery. This fruit is the truth at the heart of the mystery. For example, in the first joyful mystery, we pray for the fruit of humility. The Annunciation is about God the Son’s humility in becoming Incarnate in the womb of Mary, and Mary’s humble acceptance of God’s will for her life. This fruit, then, helps us to guide meditation and focus the mind on one thing to ask from God through this particular mystery of the Rosary. Another technique is to visualize the scene. The Rosary calls us to meditate on a scene from the life of Jesus and Mary. What did they see during this scene? What did other participants in this scene see? Perhaps a piece of sacred art comes to mind to help focus; seeing what is happening in it helps to relate in a deeper way to Jesus and Mary. With this deeper relationship, one hopefully is quicker in relating them to experiences in our lives. The third way is to pray the scriptural Rosary. This method calls us to read a passage of Scripture at the beginning of the mystery or to read a verse before each Hail Mary. This helps us to see how the scenes from the Rosary relate to the Scriptures. It also might help us hear a phrase or word from Scripture about which God wants us to pray to help us in our faith journey. Cardinal Raymond L. Burke was fond of a method in which we add, after the name of Jesus in each Hail Mary, a spiritual phrase related to the mystery about which we’re praying. This is especially helpful to refocus if our minds wander. These are just some ideas that are popular among people who make the Rosary a part of their daily prayer. The point is that we keep praying the Rosary and find the way that is spiritually most fruitful for us. 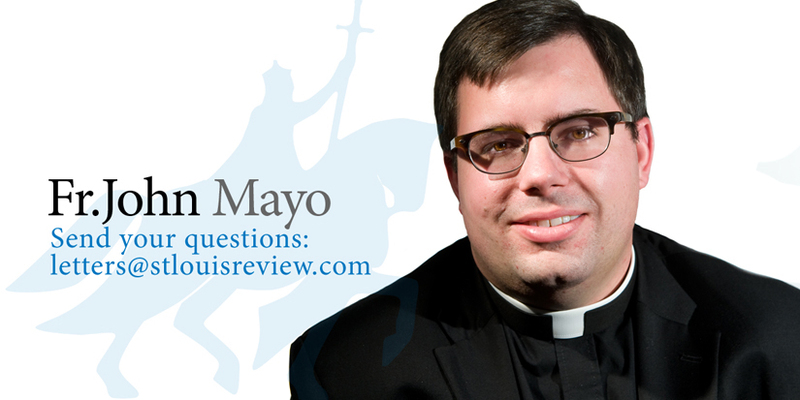 Father Mayo is pastor of St. Raphael Parish in south St. Louis.